Let us take the guesswork out of hiring the right legal professionals. Our extensive network of court reporters, videographers, mediators, arbitrators, document review attorneys, will provide you with a level of efficiency and timesaving effectiveness that will allow you to skip the hassle of the hiring process and let you get back to focusing your energy where it is more effective. Discovery Litigation Services provides a platform through which you can quickly staff your team with the right experts for the case, with little to no notice. Let us take this burden off of your back and start by getting your Connecticut court reporter today! Discovery Litigation Services goes further than being a one-off service provider. Our commitment to excellence and value reaches into every aspect of providing litigation services. We want to make your life easier. Let us take some of the responsibility off of your plate. Discovery Litigation Services’ legal videographers delivers a level of service that results in a more compelling video. We bring trial technologies into the deposition arena. Easily highlight and annotate documents live in a deposition. Playback videos or computer animations to the deponent. All of this is captured in a picture-in-picture mode showing both the deponent and the demonstrative evidence of your choice. This results in a video deliverable that is engaging and more valuable than the traditional. Our picture-in-picture process working in concert with high definition streaming capabilities will provide remote viewers of your choosing anywhere in the world the power to monitor the deposition while seeing the documents shared with the deponent. Discovery Litigation Services offers a unique approach to corporate services, supplying cost saving services to the corporate client while simultaneously providing a higher level of service to the counsel that is managing their case. Discovery Corporate Services offers online real-time reporting and deposition cost analytics. We guarantee clear, understandable ebilling to make sure you don't pay for products you don't want or need. We work in close coordination with your law firms to ensure their needs are met. Cost savings should not mean sacrificing quality. Discovery Litigation Services has specialized tools and vast resources that provide your clear visibility and power over your budget. Discovery Litigation Services has the ability to provide professional interpreters for your deposition needs. Our Connecticut legal deposition interpreters are experienced in all deposition and courtroom settings. We can translate in virtually any language all across the country. All Discovery Litigation Services services are provided in trial-ready format, saving you time and money as you prepare for your case. Discovery Litigation Services provides courtroom consultants who have the experience and knowledge in working with you to create an engaging multimedia presentation. Discovery Litigation Services is founded by an experienced stenographer. Managed by battle-tested experts, we understand the importance of providing superbly qualified professionals to handle your depositions. Discovery court reporters know the importance of their role within the process. Our certified Connecticut court reporters across the country are eager to support you wherever you deposition is. Discovery Litigation Services handles a wide variety of depositions every year and our court reporters have years of on-the-job experience. Their unrivaled professionalism supplies you the foundation needed for your deposition. WHAT WILL YOU DO WITH YOUR NEWLY FOUND FREE TIME? Discovery LItigation Services’ online scheduling platform makes it easy for you. 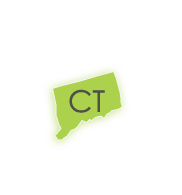 You’ll book a Real-Time Ready Connecticut Court Reporter providing Expedited Transcripts, in minutes. But it doesn’t end there. We offer a full service solution to all of your deposition and corporate needs. Discovery Litigation Services streamlines your deposition protocol, so you can focus your efforts where they matter most. Not only will we handle any deposition in Connecticut, we will provide a court reporter and all litigation services anywhere in the country. Discovery Litigation Services will effectively produce a court reporter, a legal videographer, and establish a high definition video link to satisfy your streaming requirements. Our litigation solutions are all encompassing and we’ll even provide the Interpreter, a Document Review Attorney, Paralegals, Project Managers, and Translator. We can help with pre-trial strategy, and build out the exhibit database. We will edit your video clips and load all of it into a trial ready solution. Do you need a meeting space for your deposition? We’ll even book the conference room! You are a simple step from booking your Connecticut court reporter, and allowing Discovery Litigation Services to handle all of the grunt work.